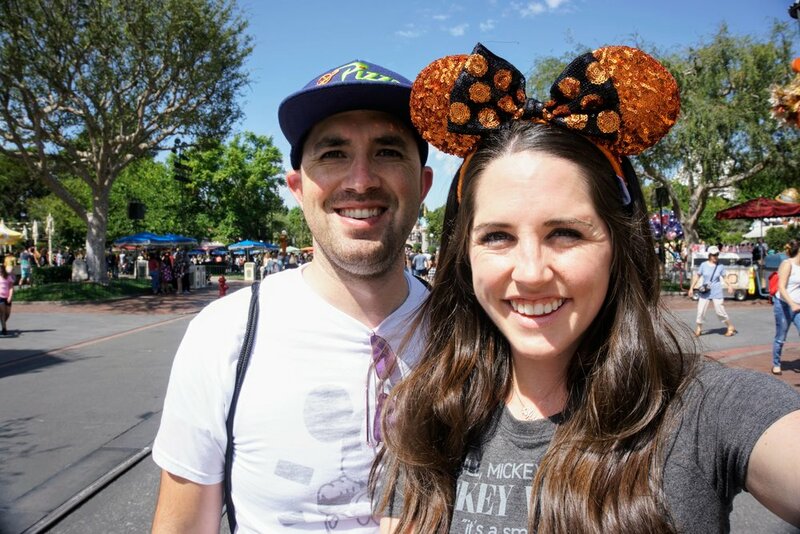 Our quick weekend at Disneyland. Our weekend at Disney was ridiculously wonderful. We left Salt Lake Thursday afternoon and flew into Long Beach Airport (which I love, by the way. never flying into LAX again), then went directly to our AirBnb to drop off our things. We called an Uber, and got to Laguna Beach around 6:00. 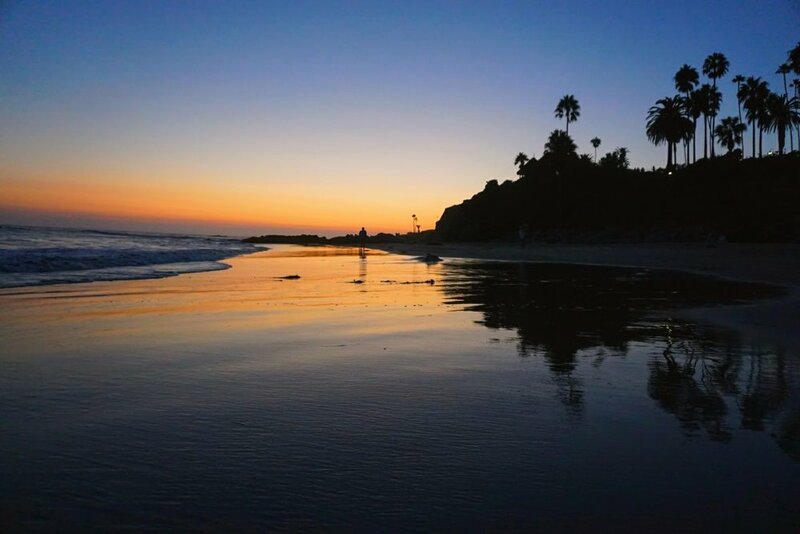 Neither of us had ever been to Laguna Beach, as far as we could remember, and it was BEAUTIFUL! We took way too many pictures of the sunset, but it was unreal. We hung out there until it was dark, then stopped for dinner at Urth Cafe before heading back to our Airbnb. Shortly after, our friends Sam and Jennika showed up with their kids! The kids were already asleep, but the grown ups stayed awake for a while and caught up. They just moved to Arizona, and even though we didn't see each other all that often before they moved, I had missed them so much! Friday morning we all woke up and went to Disneyland!! Brandon and I were so excited to go with the adults, but we were also really excited to do Disney with kids. The first thing we did when we got in the park was take the kids to meet Moana, and seriously, it was so precious. We had some pretty tender moments with the kids all day, and even though it made us ache a little for our own, we had a blast with them. This was our first vacation ever with Sam and Jennika, and on like, the third ride of the day I was already trying to talk them into planning more. So hopefully that will be happening again! On Saturday, Brandon and I went to California Adventure by ourselves. We got a lot of the big rides done quickly, and realized that we were bored without Sam and Jenn and their kids haha. But we rode the new Guardians of the Galaxy ride (and only waited 15 minutes in line), Toy Story, Cars ride, Little Mermaid, Soarin', and California Screamin' all before 1:00. We contemplated waiting to watch the Frozen show, but we had seen it before, and both of us wanted to go back over to Disneyland, so we did! And it was the best decision. We rode Autopia, Splash Mountain, and Pirates, and just soaked up some last Disney magic before having to leave. 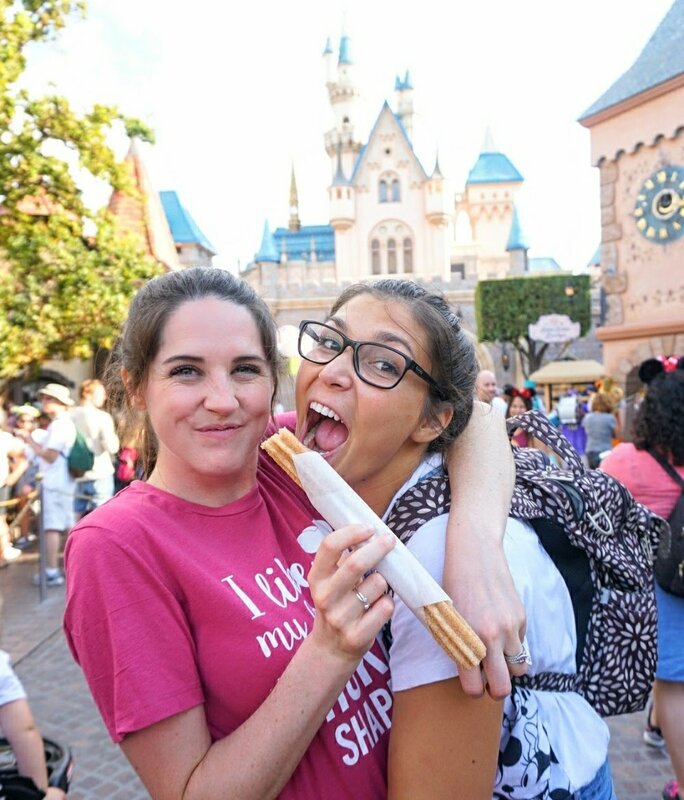 We bought Sam and Jenn's kids bubble wands before we left the park, because we had been wanting to the day before and just didn't do it. Luckily, they were still up when we got home, so we all a little pre-bed bubble party. It was so much fun! When we go visit them in Arizona, I fully intend to steal their children and bring them home with me. Our flight the next morning left at 7:20, so we left the Airbnb in the 5:00 hour, and spent a good chunk of our time in the airport trying to wake up. I woke up with a cold, but it was so worth it for Disney! Once we got home, we unpacked, took a nap, then just rested for the rest of the night. We're already trying to figure out how we can swing a trip in October. The park was partially decorated for Halloween already, but we want to go when it is the full-blown Halloween Celebration! So we'll see. We really did have the best weekend though, and it was a perfect lead-in to a great week! You can watch a recap of our weekend on the vlog, and you can watch Sam and Jennika's vlog here!